For a Person To Be a Good Negotiator, One Should Carry a Few good Traits. Firstly, they should be confident in what they do and they should have a steady gaze when they are talking to the other person. Secondly, try to present your needs in a systematic manner and inform the reason why you wish to have such a negotiation. In most cases, supervisors and higher ups would often listen and heed the negotiation conditions being presented, if there is a valid reason behind the negotiation. Being a good negotiator is not something that anyone can achieve in a day. Some are born negotiators while some might be new to this approach. Like other kinds of traits, with proper practice and training, one can easily be a good career negotiator and they can achieve any negotiation that can be beneficial for their careers. There are many ways in which you can achieve a good negotiation between your employees and also reach a negotiation with your peers and subordinates. Whenever you are going to negotiate, try to make sure that you state your goals and needs that you want to achieve through the negotiation. There are many reasons for which employees can negotiate with. For example: For a new employee, one can negotiate about the rules and regulations to the employer or if you are currently working in a company as an employee, then you could try to negotiate to present manager to increase your salary and so on. Whatever the reason maybe, always try to take account of what’s important and what all factors are worth negotiating. Depending on the needs and necessities of a person in their work life, try to negotiate accordingly. Studies have shown that many managers often submit to negotiation in areas like providing a flexible work schedule, allowing to work remotely, provide assistance for training and educational purposes, and issues related to work locations and it’s relocation is also negotiated in favour of the employee. One of the main aspects that many employees is that they often forget to study and understand what all factors make them stand out among various employees and how can they use these factors to provide a good output and performance. If you want to have a successful negotiation, you have to be confident and clear, and to be confident you need to have knowledge about the factors that make you stand out from the generic group of employees. Try to sell your plus points and qualities to the company manager and tell them how you can incorporate your qualities and the company’s performance to bring out something beneficial for the company. This is where the key to a successful negotiation lies. While incorporating both work and your aspects together, it gives an impression to the employer that you can see the bigger picture and most probably they will be highly satisfied with your answer and will ultimately heed to your needs and negotiation conditions. They will also consider you as a valuable employee of the company. If you are presently a job seeker and at present you are searching for a job, then it is better to research and get to know more about the company before considering for negotiating. Try to research as much as you can about the company, its work culture, their employees, their growth during the last financial year and so on. And also consider the opinions of their current employees about the company in relevance to the amount of money they get paid as salary and also holidays that the company grants to their employees. Most employees who have a liking towards technology and who are tech savvy also try to follow the latest industry trends and they try to incorporate those into the company. While negotiating it is necessary to listen what both parties have to say. After listening and understanding they have to say, then only a successful negotiation can be reached. It is true that employees researched hard to find information that can support their negotiations, but they are also eager to explain and present what they researched that they often tend to overpower the other person. This may come off as rude and impatient, especially while negotiating to your managers and higher ups. In a negotiation listening also has the same importance as that of speaking and it is necessary that both should listen and understand what the other party has to say before stating your needs and demands. Study and ask to have more understanding and insight on what their conditions are and try to understand why they want such needs. Try to find a common ground that both the parties can decide on, hence leading to a successful negotiation. 1. Before the starting of the negotiation process. 2. At the start of the negotiation process. 3. While the negotiation is happening. 4. At the end of the negotiation process. 5. After the end of the negotiation process. The following will give you a few tricks that you could at all these points of the negotiation for an effective and practical deal that is both favourable to you and your employer. 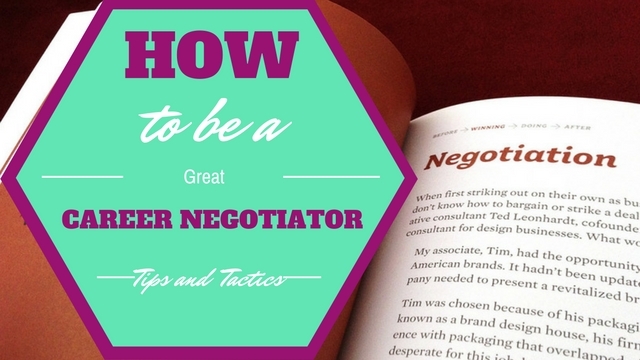 Before starting the negotiator you should be a good contender and you come off with a great advantage, so try to increase your strength during this process. Gather the required data that you can present during the negotiating. For this purpose, you need to know who you are dealing with and what kind of deal are you making with them. Without this basic knowledge, in the end you will be played by your negotiator. If you are applying for a job interview there are sites such as Glassdoor and LinkedIn that helps you get to know about the various aspects of the job from the employee themselves. If you are not happy with your present negotiator, try to find if there are other alternatives that you can have to get a good negotiation. Another tactic that you could use to get a successful negotiation is to choose a good time and date or when the weather is really nice and comfortable. Good weather gives off positive vibes to both the parties. Hence, ultimately leading to a better negotiation. Choose a good time, preferable between the first work hours. This gives the negotiator an ample amount of time to think about the various aspects of the conditions set. Choose the right medium of communication. Face to face communication is the best methods for an effective negotiation unlike negotiation through the phone or by sending an email. Find the right location for negotiating. The most neutral spot that one could offer for a formal negotiation is at the office itself. This makes both the parties unbiased and they are not distracted by any external factors. Try to have a small talk with them before officially starting the negotiation and build a good rapport. This also makes a good first impression for both the parties. Try to state some personal information such as your hobbies, plans likes and dislikes. This gives the negotiator a better idea about you and helps to get on with the deal more quickly. Try to have some non formal behaviour with them, like eating together or talking together. This will create a sense of familiarity and can increase the chances of your negotiation being accepted. If you have set a good relation with the negotiator after the start of the meeting then it is the right time to present your conditions and needs to them. Try to show disagreement when you are not going along with their conditions and rules. Try to show signs of disappointment if you are not able to agree with their conditions. While using this tactic, make sure that you are not overdoing it, since the negotiator can get a bad perception about you. Try to use formal language while having a negotiation. This is necessary so as to give a good impact to the negotiator. Using a weak language gives off an impression that you are slowly subverting to the rules and conditions laid by the other party. Try to address all the terms and conditions that you have during the negotiation. This is the most mandatory and the most important step of the whole negotiation process. Make sure that you are prioritising your needs in a descending order of importance. Starting from the most important to ending with the less important condition. Also, make sure that your negotiator is understanding all your needs and conditions and make clarifications wherever necessary. Present your finalised offer to the other party. Make sure that you make the first offer, since it gives you room to discuss about it further. Making the other party state their offers first might come off as a disadvantage to some. Depending on the situation choose the safest bet. While making negotiations about the salary range. Negotiate at the highest range first and then this allows room for you to end the negotiation at your expected price range. State the advantages and perks of your conditions and offers, allowing the other party to think carefully one more time. If you have time, try to solidify and justify your offers and conditions using visual objects such as graphs and pie charts and also give a valid explanation while explaining these charts. After negotiating your terms and conditions, try to seal the deal and make it finalised, Try to have a written contract at hand, since a verbal agreement can be changed at any time and if that happens, the whole process has to be repeated again. After the negotiating has ended, try to give a simple idea of the negotiating to the other party by sending an email stating a summary of the negotiation that they had held that day and also thank them for giving the opportunity for a negotiation. Try to give good suggestions and complement them on their professionalism and their negotiation skills. While making use of the above mentioned tactics, try to use your sense of judgement and act according to how the direction of the negotiation is going. Try to use tactics that are suitable for a particular situation during the meeting process. This will help you to reach a more effective and satisfactory negotiation between the two parties.